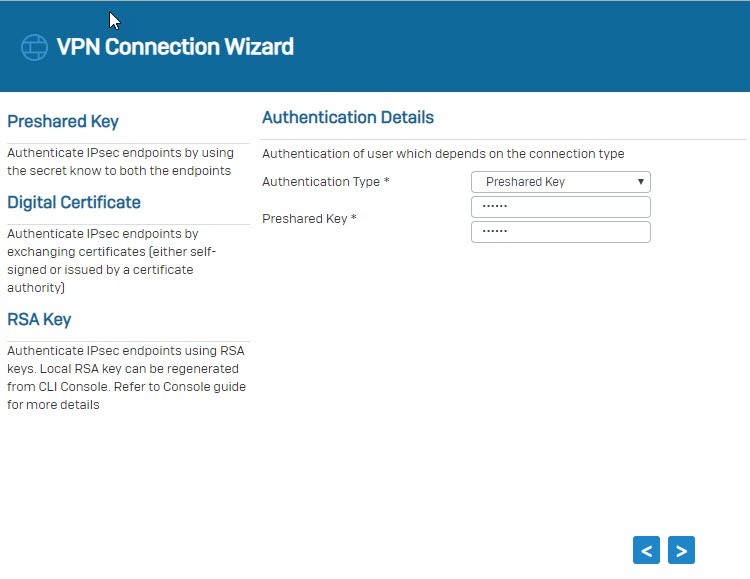 This article describes the steps to configure a Site-to-Site IPsec VPN connection using preshared key as an authentication method for VPN peers. Go to Hosts and Services -> IP Host and select Add to create the local LAN. Go to Hosts and Services -> IP Host and select Add to create the remote LAN. 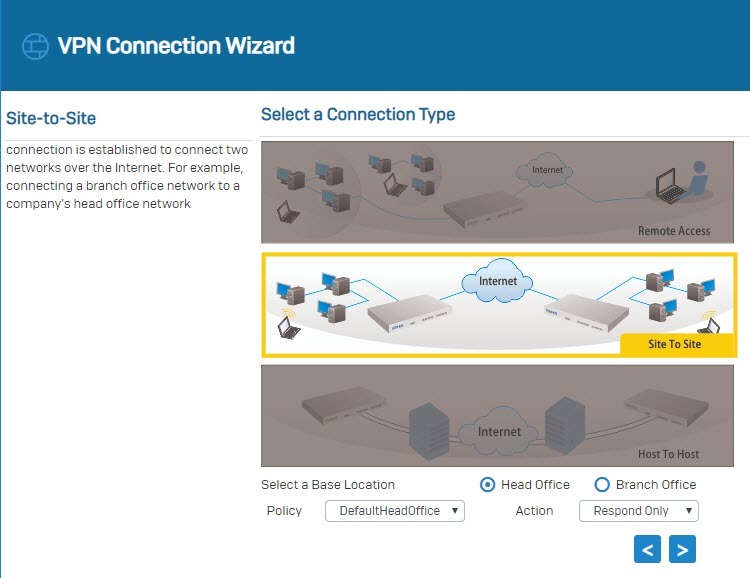 Go to VPN > IPsec Connections and select Wizard. 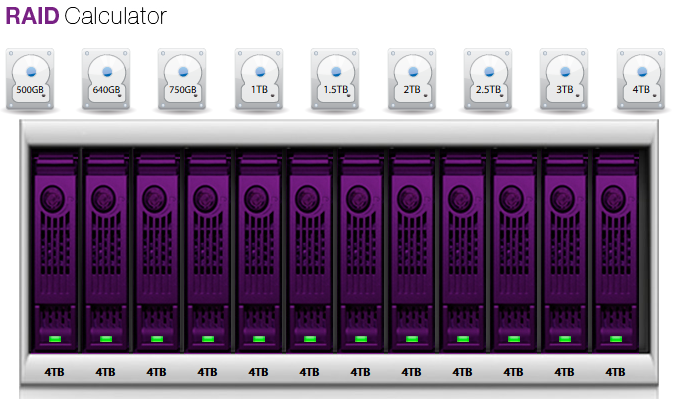 Give it a name and click on Start to follow the wizard. Select Site To Site as a connection type and select Head Office. Set the Authentication Type yp Preshared key. In Local Subnet field, choose the local LAN created earlier. In Remote VPN Server, enter IP WAN of Branch Office. 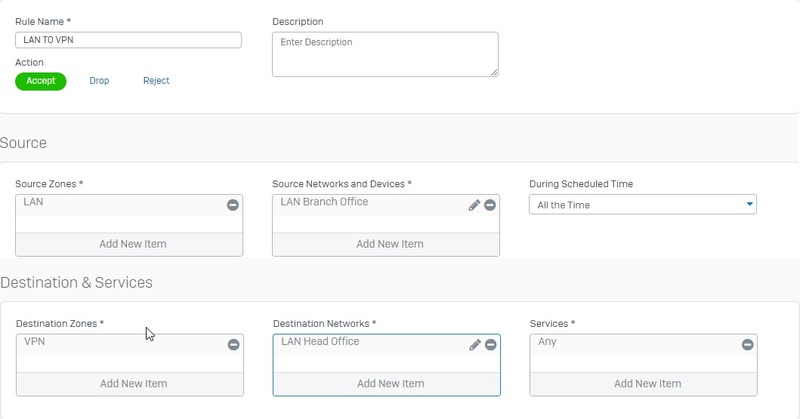 In Remote Subnet field, choose the remote LAN create earlier. In User Authentication Mode field, choose Disabled. Click Next again and click Finish. Click the under Status (Active) to activate the connection. Go to Firewall and click +Add Firewall Rule. Create two user/network rules as shown below. 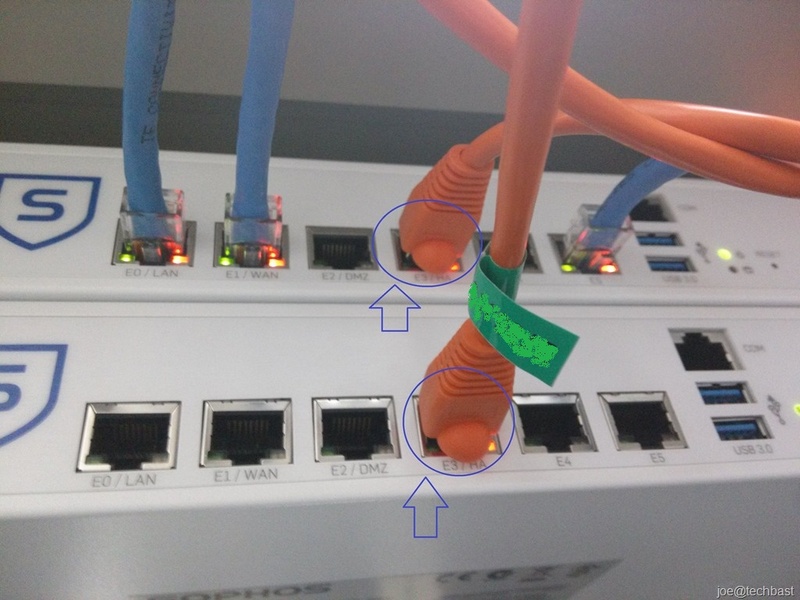 Add local and remote LAN. 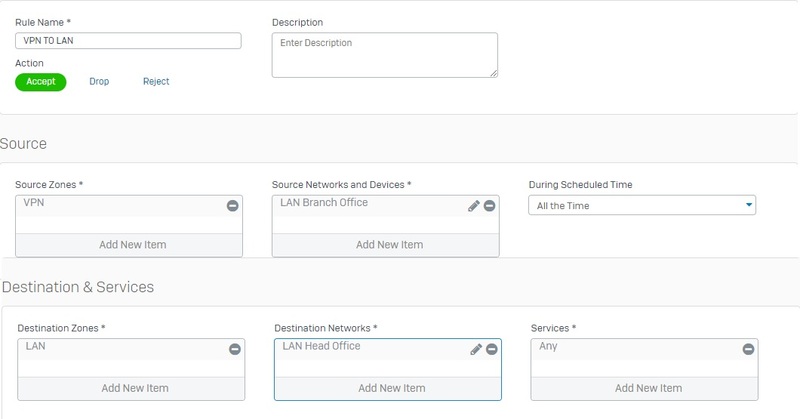 Select Site To Site as a connection type and select Branch Office. Set the Authentication Type to preshared key. 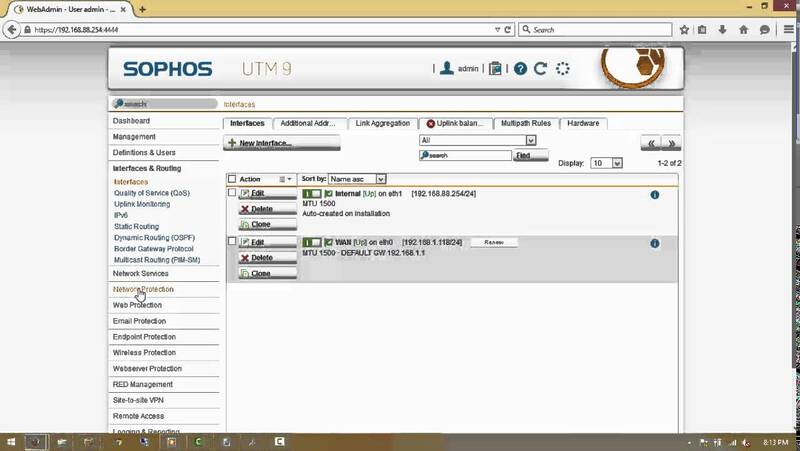 Make sure to use the same preshared key as in Sophos Firewall 1. In Local Subnet field, choose the local LAN create earlier. 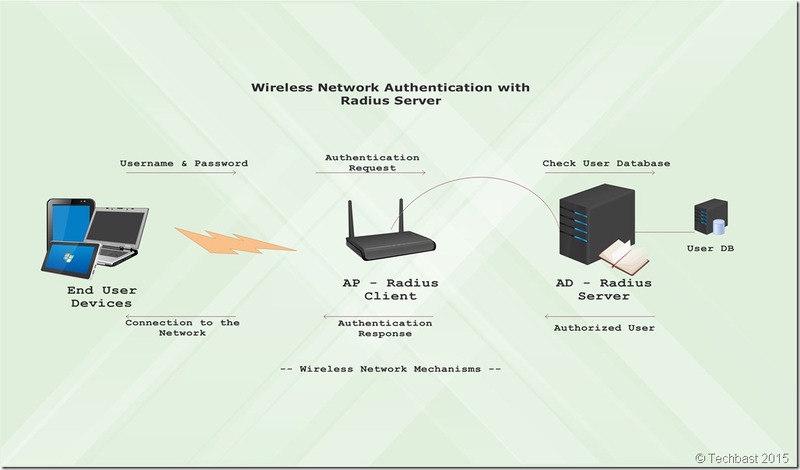 In Remote VPN Server field, enter IP WAN of Head Office. In Remote Subnet, choose the remote LAN created earlier. 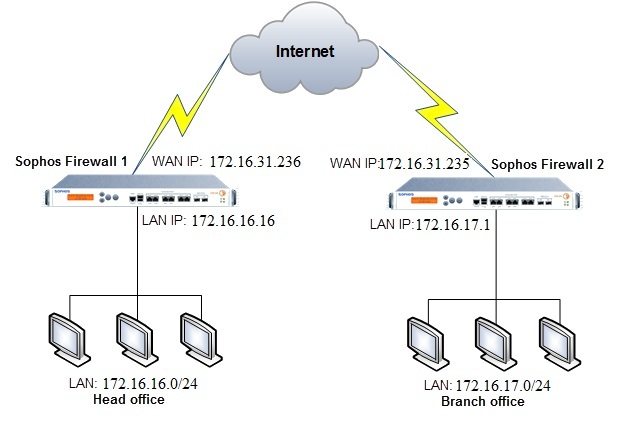 Once both Sophos Firewall devices at the head and branch offices are configured, establish the IPsec connection between them. 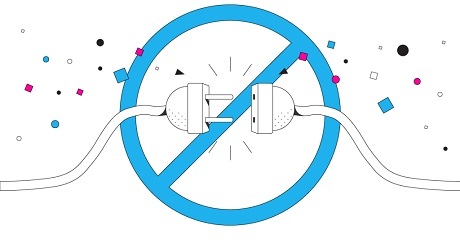 Go to VPN > IPsec Connections and click the under Status (Connection). 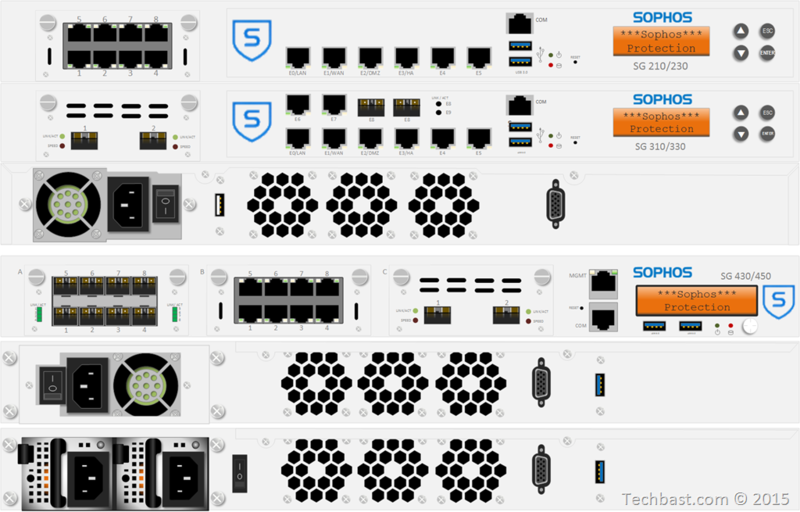 A ping test from a machine behind Sophos Firewall 1 to a machine behind Sophos Firewall 2 and vice versa should work. Go to Firewall and verify that VPN rules allow traffic from VPN TO LAN and LAN TO VPN.